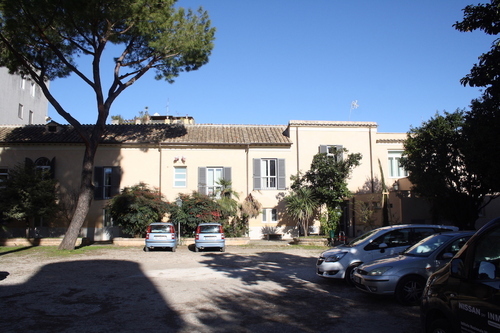 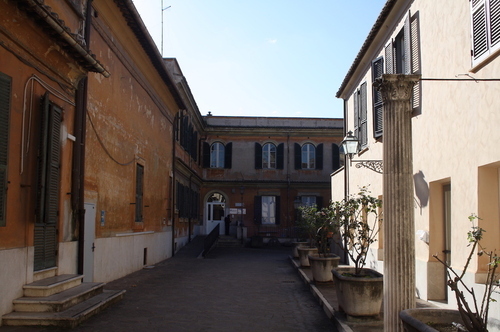 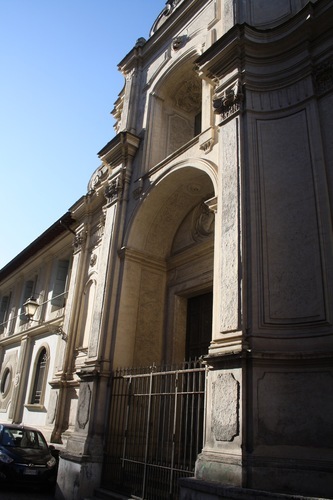 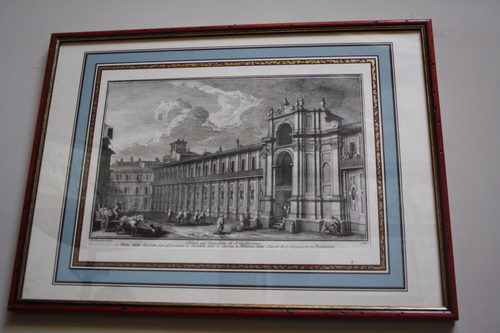 The dermatological institute of San Gallicano in Rome (Via di San Gallicano) was founded on the 14th March 1725, during a ceremony held by Pope Benedict XIII; the architect that designed the building was Filippo Raguzzini. 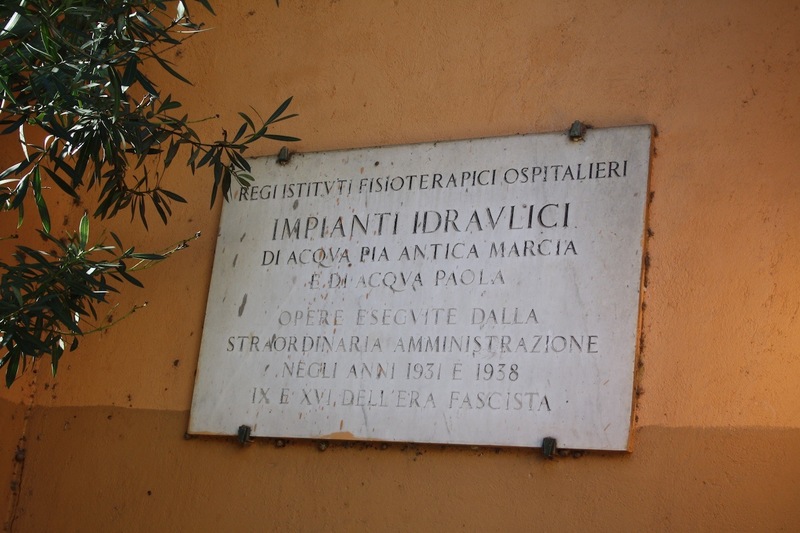 The institute will become one of the first centers specialized in skin diseases in Italy. 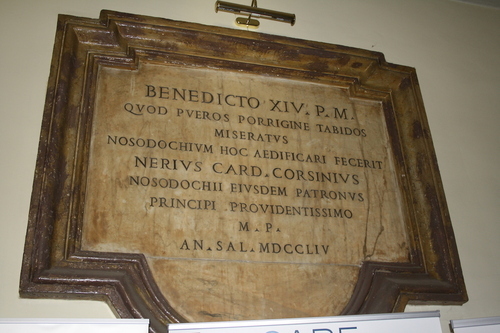 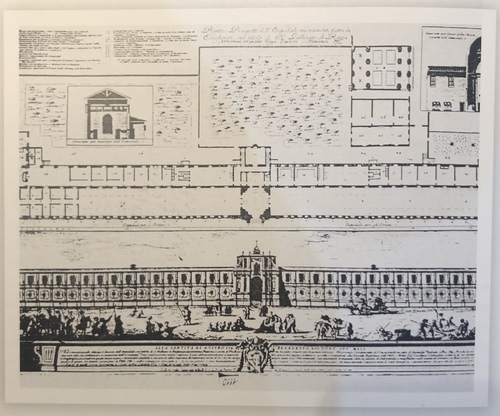 One of the most important figures in the growth of the hospital was Elio Lami, appointed by Pope Benedict XIII to create a place where the poor and faithful had the opportunity to be assisted and treated against diseases like leprosy, ring worms and scabies. 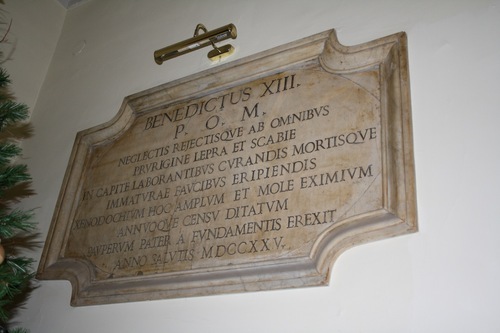 Pope Leo XII ordered, in 1826, the creation of an Anatomical Theatre for the Medical School of the institute, opened inside the Hospital in 1786; the Anatomical Theatre was so well made that the medicine students from every Medical School of the region had to attend there some of their anatomy classes. 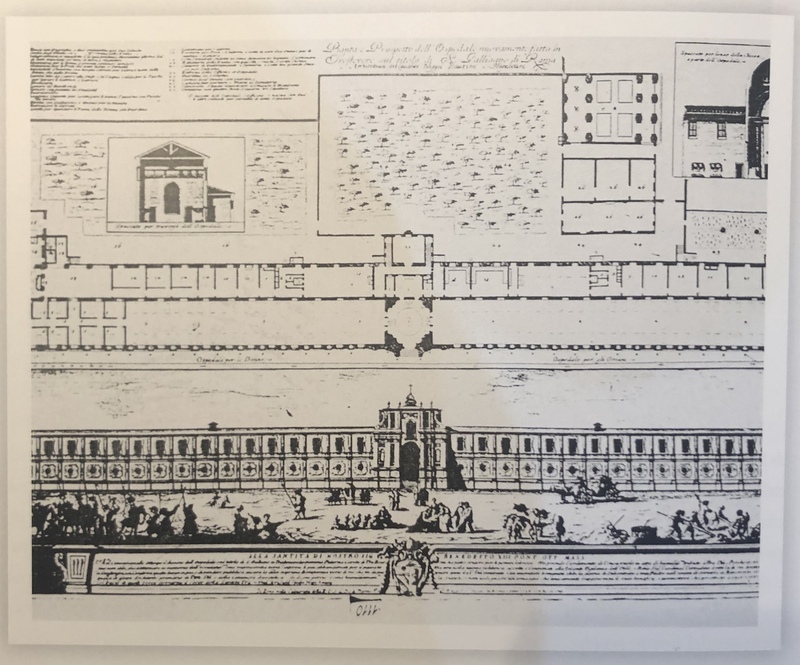 From an architectural point of view the structure develops principally longitudinally, with, at the center, the church that works as a fulcrum for the two twin lanes that are about nine meters high. 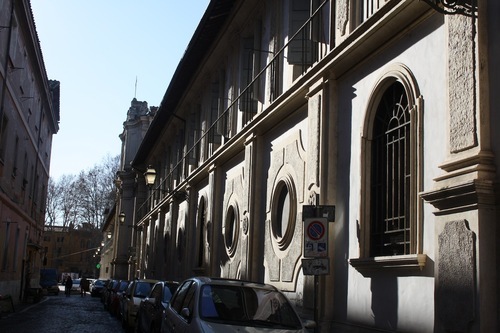 The facade of the hospital is low and very long, about 170 meters, and the architectonic decorations give a singular and peculiar perspective effect. 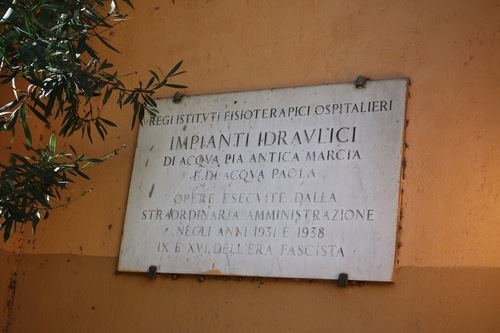 The Hospital nowadays is managed by a national organization named "INMP" (National Institute for Health Migration and Poverty) that focuses on trying to give help and medical care to those who can't afford to pay for dermatological, infectious, gynecological, metabolic and mental disorders treatments by themselves.